DAFFIN’S CANDY BARS ARE HERE! 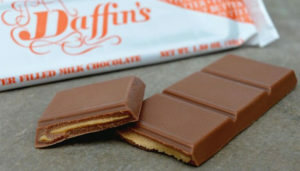 Stop into your local branch and purchase your Daffin’s candy bars while they last. The benefits go towards the 2019 MLFCU Scholarship Fund. Please help our High School Senior students out by purchasing your candy bars. Just when you think you are safe, the Equifax data breach happens. 143 million records were potentially compromised containing over 200,000 credit cards. Affected consumers are at risk from criminals using stolen information to fraudulently open accounts. This means that the most pressing and immediate threat with this breach is identity theft. It’s difficult to entirely prevent identity theft, however, as a member of Mountain Laurel FCU, you can lessen your risks and sleepless nights by subscribing to an identity theft protection and restoration service through SHERPA® Identity Protection. Up to $1 million in identity theft insurance, and more! Ensure your identity is safe! Visit https://www.sherpaidentitytheftprotection.com/?PCD=034 or talk with a member service representative today! You can trust in Mountain Laurel Federal Credit Union and Sherpa to help keep your personal information protected. Visit Sherpa for more information. The TruStage Health Insurance Program is made available through TruStage Insurance Agency, LLC and GoHealth LLC. GoHealth LLC is licensed to sell nationwide and operates in all states with the exception of Massachusetts, Hawaii, Vermont and Rhode Island. The insurance offered is not a deposit, and is not federally insured, sold or guaranteed by your credit union. Just Another Credit Union Membership Perk: $1000 of TruStage Accidental Death and Dismemberment Insurance Coverage at No Cost. For greater protection, you can also add to your no-cost policy by purchasing up to $300,000 of additional coverage from CMFG Life. You’ll find the rates are designed to be affordable. Don’t miss this opportunity to take advantage of your credit union membership. Sign up now for your no-cost or additional AD&D insurance protection. This valuable coverage can help you protect your family’s home and personal belongings. You’ll also have access to outstanding online and 24/7 claim services. Cash Back Shopping. Earn money while you shop with Shop America. Over 80% of Americans like to shop online, including credit union members like you. But are you getting cash back when you shop? With Shop America and its 1,200+ online retailers you do. You can even get up to 20% cash back at some of its online stores. Shop using your credit union credit card and save even more money with our great low rates! 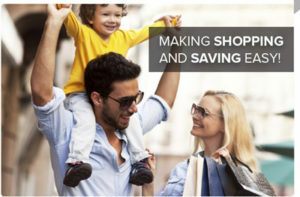 Register with Shop America for free at LoveMyCreditUnion.org to start getting this exclusive cash back offer with popular stores like Target, Best Buy, Gap, Sears, Home Depot and more. Ampre is one of the easiest way to save on the planet. In other words, pretty easy! Once you register your participating card, you are ready to save at hundreds of local and national merchants. Offers come in three varieties – national, local and special offers. It’s no hassle and the savings are automatically put on your card. Sign in to view all of our participating retailers with over 30,000 locations nationwide! Log on to myampre.com today and start saving.